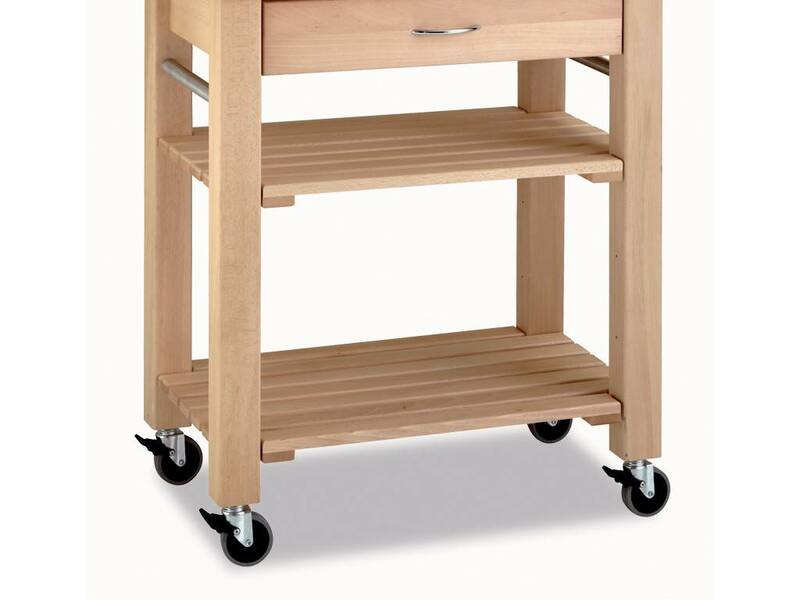 The kitchen trolley "Country" is made-up of a robust worktop in beechwood (5cm thick), a drawer and 2 wooden shelves. 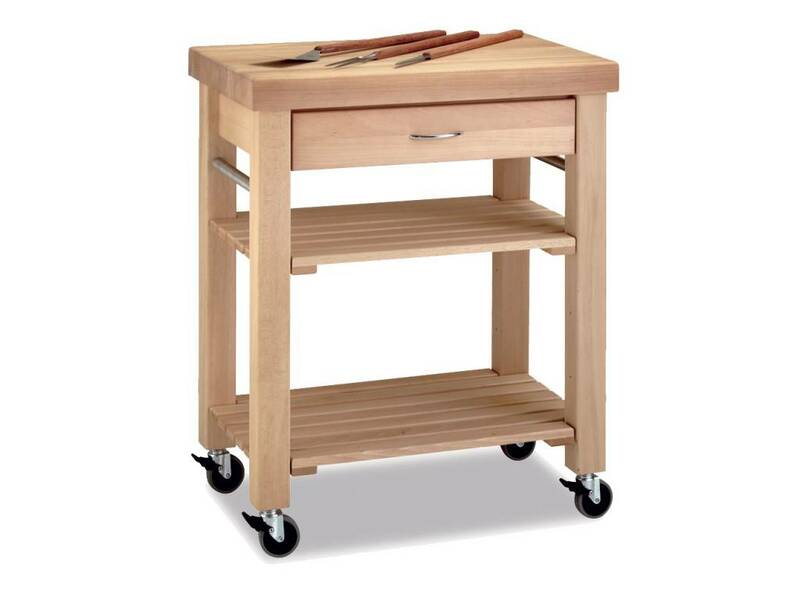 The "Country" kitchen trolley is the ideal work surface to carry out every culinary operation and can also stock every heavy kitchen utensil, thanks to its very robust structure (45 Kg of beechwood) and its mobility guaranteed by 4 wheels with brakes. 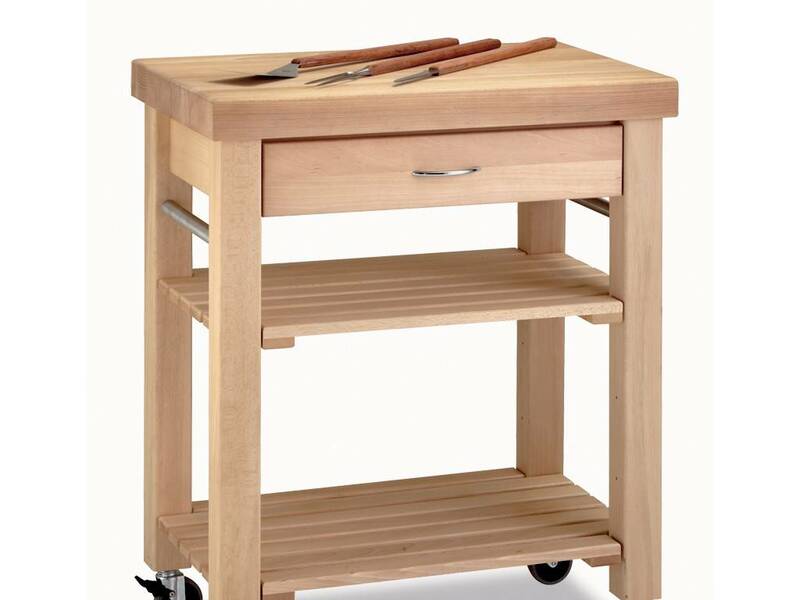 The design of this trolley and its robustness offer elegance and a rustic character to the kitchen or any other room it is used in. 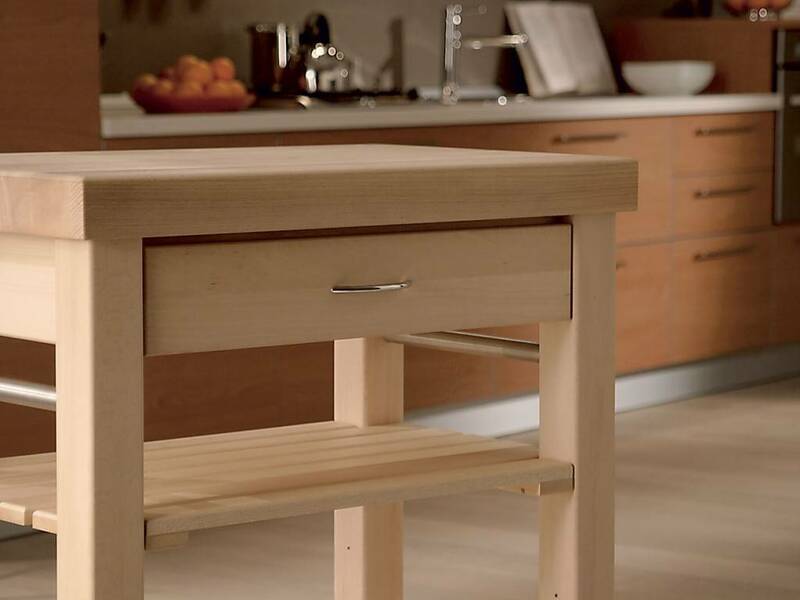 Product delivered assembled and packed on an europallet of 80x120x100 cm.